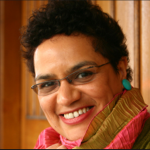 Scottish Makar Jackie Kay will give the Scottish welcome to the international disarmament campaigners who will address the NAE NUKES ANYWHERE Rally at Faslane on Saturday, 22nd September, in a celebration of the UN Treaty on the Prohibition of Nuclear Weapons (TPNW). The welcome will be shared with Kathy Galloway. Kathy, the first woman to be elected as leader of the Iona Community was a key player in the Scottish Constitutional Convention and is known for her ability to embed the values of peace in civil society contexts. Also on stage will be Scottish musicians, including Adam Holmes, Pauline Bradley and Bobby Nicolson. The core of the Rally will be addresses by advocates for the TPNW from the US, Russia, Iran, The Netherlands, Israel, and Germany.